The fifth chapter of the well-known Witches’ Legacy series is finally nigh! 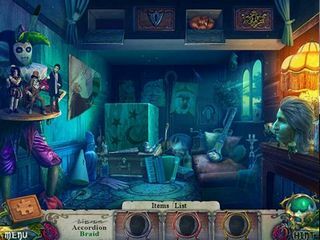 Witches' Legacy: Slumbering Darkness Collector's Edition is finally available for fans of Hidden Object Puzzle Adventure games. If you liked the first four, then you’ll really get into this episode of the Witches’ Legacy franchise. If you have yet to play the previous editions, then know that EleFun is the creator - and they only put their name on good stuff! 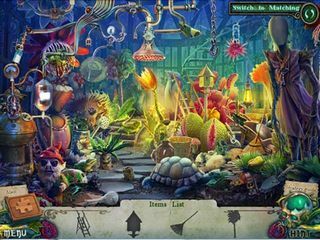 If you’re completely foreign to EleFun, Witches’ Legacy, or HOPA games all together, then this could serve as a fine starting point for your new addiction. You play the role of a good witch named Lynn and you’ll be joined by her witch hunter husband. The two of you are caught up in a trap set by a sorcerer whose origins are rather peculiar… Embark on this epic quest to uncover what his evil plans are and save your family from the clutches of evil witchery! You’ll also be joined by a little sidekick who is especially amusing. But, you’ve got to collect a few things for him first, so get searching! The Collector’s Edition is noteworthy. There is a unique aspect to this game in which the player gets to collect puzzles throughout the game and through them learn more about each character. The characters really stand out, so this is an adventure worth going on. There are morphing, yes, MORPHING, objects and puzzle pieces for you to collect along the way. The Collector’s Edition also comes with downloadable media and a Strategy Guide that will help you along in this legendary quest of good versus evil. Play it! This is Witches' Legacy: Slumbering Darkness review. Download this game here.